I guess most scientists find writing difficult. I certainly have over the years. So I do admire scientists who communicate well, who produce readable material. And do it with ease. P Z Myers is one of these. He is a prolific blogger (see Pharyngula) and an excellent writer. Besides so much activity on his blog he holds down a teaching job and is in high demand as a public speaker. And he has written a book! It’s due out early next year and I am sure itwill be an excellent read. So what is his secret? How does he write so well, and so prolifically? In a recent post, Fishkiller, he revealed part of this secret. “I write in my sleep” he claimed. Boy, would I love to have that skill. “I write in my sleep. You see, the way it works is that if I have something on my mind when I go to bed, my brain will churn over it all night long, and because of the way my head works, it will spontaneously generate a narrative. I do that in all of my dreams — I float aloof from the events, mentally transcribing what’s going on. My consciousness is a kind of disembodied reporter, I guess. Maybe he exagerates and it is only part of the story. But I am sure he is on to something. I once presented a class on science writing. It was aimed at young scientists, many of who were contemplating their first paper. So I decided to give help with the approach to writing, rather than just the formality of producing a research paper and getting it published. I took the concept of using “both sides of the brain” – the right hand side for creativity and the left hand side for editing. This was basically the approach Betty Edwards used in her course, and famous book, Drawing on the Right Side of the Brain. The trick is to separate the two activities. Firstly suppress the left hand side of the brain. Be creative. Get your ideas down. Don’t worry about the language, grammar or spelling. Don’t worry about the orders. Just concentrate on a brain dump. Just use the right brain. Only once you have the material on paper do you allow the left hand brain to participate. Only then do you get into editing, correcting, and so on. The discipline is to suppress the left brain in the initial stages. (Which does take some effort). Otherwise we just naturally attempt to edit when we should be getting our ideas out. That inhibits our ideas, slows down the whole process, causes diversions. Allowing the left brain to interfere is a major source of procrastination. It’s dispiriting. If you are interested in following up this approach to wring have a look at the book by Henriette A. Klauser – Writing on Both Sides of the Brain: Breakthrough Techniques for People Who Write . The technique certainly does work and I found it liberating once I started consciously using it. And yoiu know what? After a while I was finding that when I did allow the left brain to apply its editing very little was required. My grammar and organisation was being applied without the left brain interference! 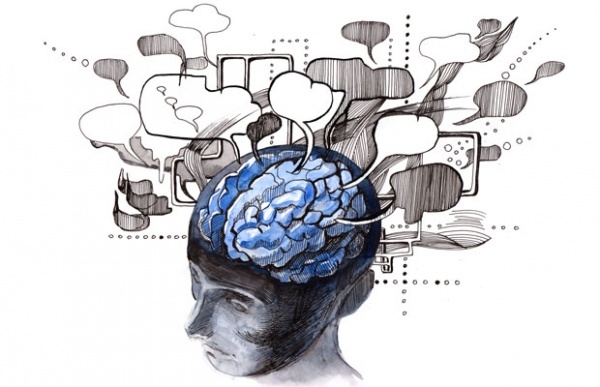 But I always felt there was another part of the brain we use in writing – our subconscious. That’s why it helps to put a paper aside. To “sleep on it.” I am sure that the subconscious mind may still be working through the ideas, maybe even the editing. Certainly, I always found I returned to the paper with a fresh mind, more able to identify and solve problems. Maybe even satisfy myself that I was happy with the writing anyway. So, while I hadn’t actually seen the unconscious mind taking the active role PZ describes, even perhaps using dreams, I can certainly see how that works. And wouldn’t it be great if we could train our brain to work that way? It would certainly take a lot of the pain out of science writing. I am sure that this skill, like all others, is a matter of training. Of experience. Once we learn to take the left brain, right brain approach and consciously put work aside to allow the subconscious to work at it, we are effectively in training. The more writing we do the better we become. The less painless it is. After all, this is probably how journalists work. And we do too, in the rest of our lives. When we learn to ride a bike our subconscious eventually takes over and we do it automatically. On our jobs we may be applying quite difficult operations, analyses or calculations effortlessly because the skills are unconscious. I am sure many of us perform these operation in our dreams. I certainly do. So I guess the answer is – do more writing. Apply concepts like writing on both sides of the brain to free up the creative side and take the pain out of editing. Have the confidence of putting things aside to allow the unconscious mind to do its work. Mind change – a moral choice? Ian Sample wrote yesterday in the Guardian about Lady Greenfield’s appeal for an investigation into the effects of computer games, the internet and social networking sites such as Twitter on the human brain (see Oxford scientist calls for research on brain change). 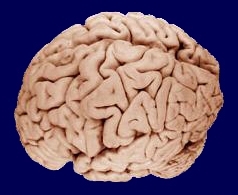 Lady Greenfield has coined the term “mind change” to describe differences that arise in the brain as a result of spending long periods of time on a computer. Many scientists believe it is too early to know whether these changes are a cause for concern. Everything we do causes changes in the brain and the things we do a lot are most likely to cause long term changes. What is unclear is how modern technology influences the brain and the consequences this has. Lady Greenfield was talking at the British Science Festival in Birmingham before a speech at the Tory party conference next month. She said possible benefits of modern technology included higher IQ and faster processing of information, but using internet search engines to find facts may affect people’s ability to learn. Computer games in which characters get multiple lives might even foster recklessness, she said. I have finally caught up with all the archived Brain Science Podcasts. The latest is an interview with Dr John Medina and dicusses his book Brain Rules: 12 Principles for Surviving and Thriving at Work, Home, and School. 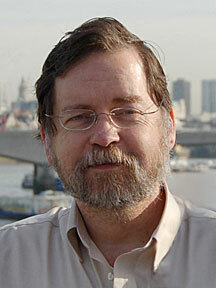 Medina is a developmental molecular biologist and research consultant. His book takes recent advances is neuroscience and brain science and derives practical ways these findings can be used to improve our performance in everyday life. He presents his recommendations as a set of 12 “rules” which can be applied to our educational, work and home situations. I recommend this podcast (download the mps file) to anyone interested in this fascinating subject. Alternatively Medina’s website is well worth a look. He has gone out of his way to apply these rules to the presentation of information on the website. Consequently it is highly visual and easy to follow. In a previous post (Exercising your brain) I listed 8 brain exercises providing novelty, variety and challenge. These exercises help maintain a healthy brain as we age. Most of these are aimed at providing a rich enviroment for brain stimulation. Only one dealt with the ned for physical exercies. Having just listened to Episode 33 of the Brain Science Podcast I realise that more emphasis should be directed at physical exercise. This podcast is an interview with Harvard physician, Dr. John Ratey about his new book Spark: The Revolutionary New Science of Exercise and the Brain. The podcast explores evidence for the role of physical exercise in helping the brain. Exercise stimulates the release of a number of different neurotransmitters and neuropeptides, and helps keep these compounds balanced. Consequently exercise is very important in dealing with stress, in treating a wide range of mental illnesses including depression, anxiety, and attention deficit disorder. There is also evidence that exercise improves our ability to learn and our ability to avoid the loss of mental agility associated with aging. So, the lesson for me is that we should not see brain exercise purely as mental stimulation. Physical exercise is vital and should be maintained as we age. I may have got this right – I exercise regularly by walking and listen to stimulating music or podcasts while doing so. We are all aware of the advantages of exercising our body. But how many of us think about exercising our minds – which means exercising our brains? Well, there are good arguments for this. Newspapers these days often run articles about the advantages of exercising the aging brain – something I can relate to. But this may be a bit like shutting the stable door after the horse has bolted. Or putting the ambulance at the bottom of the cliff. Like the body, the brain should be exercised all our life. Dr Ginger Campbell has some interesting articles on these subjects on her site The Brainscience Podcast. I’m indebted to Damian for recommending this site to me – and I recommend it to anyone interested at all this fascinating area of science. I’ve been reading about the human brain. This got me thinking about software I used to use a lot for my research. Called the Personal Brain it provides a way of structuring information by forming associations between different thoughts and sources – very similar to the way our memory works. This is a very useful application for anyone involved in research or writing – a useful resource for an active blogger.